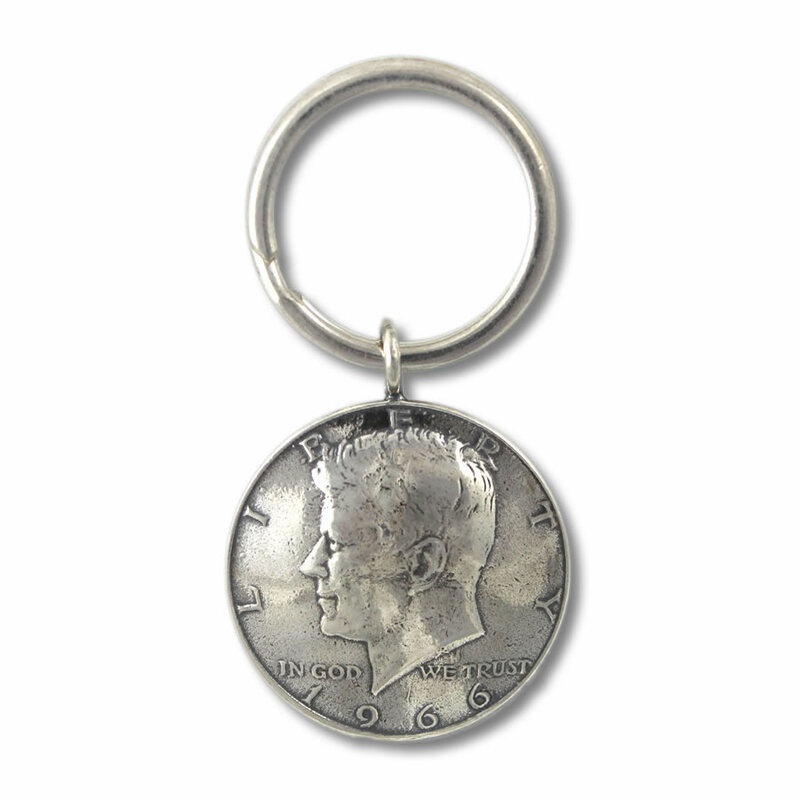 This limited edition half-dollar keyring is solid silver, made from an original 1967 Kennedy 50-cent piece. What better way to mark an unforgettable 50th birthday -- 50 cents for 50 years, from a coin minted 50 years ago. 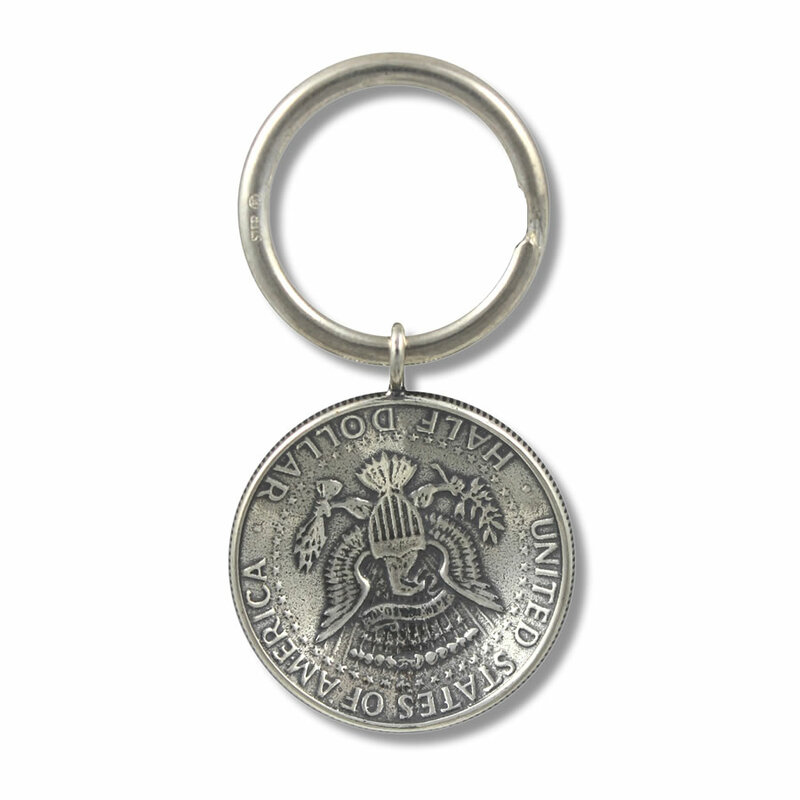 The hand-crafted disk is slightly domed to highlight the etchings on the coin: the outer side shows a profile of JFK and is inscribed with "Liberty. In God We Trust. 1967" while the inner side shows the Eagle Crest and bears the inscription "United States of America. Half Dollar." The stainless steel ring is approximately one inch in diameter. 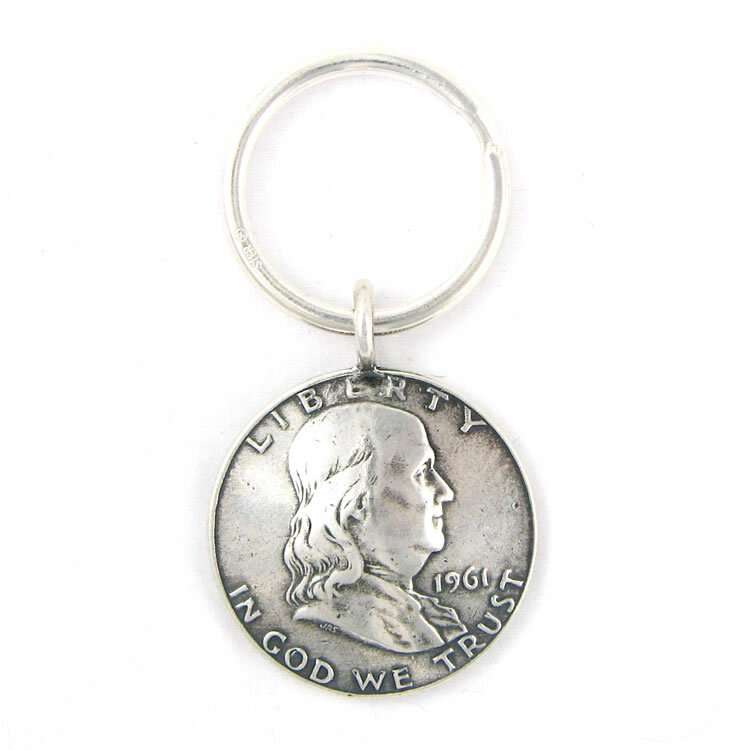 Add $25 for sterling silver ring.